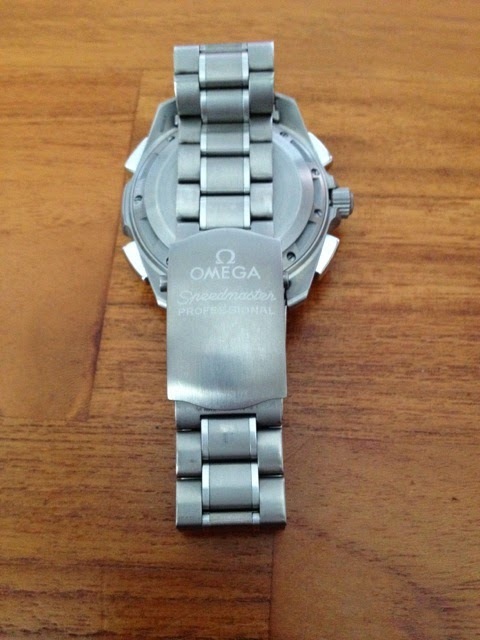 I was planning to wear my Omega X-33 when I realised that something was wrong. The clasp would not lock. 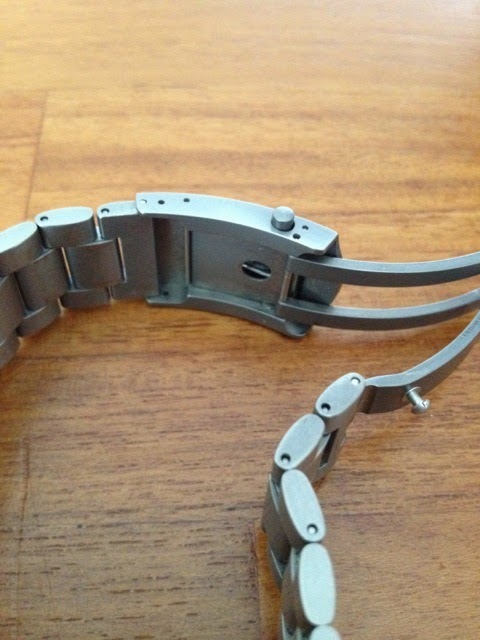 It would latch but if you shake the watch, the clasp will undo. 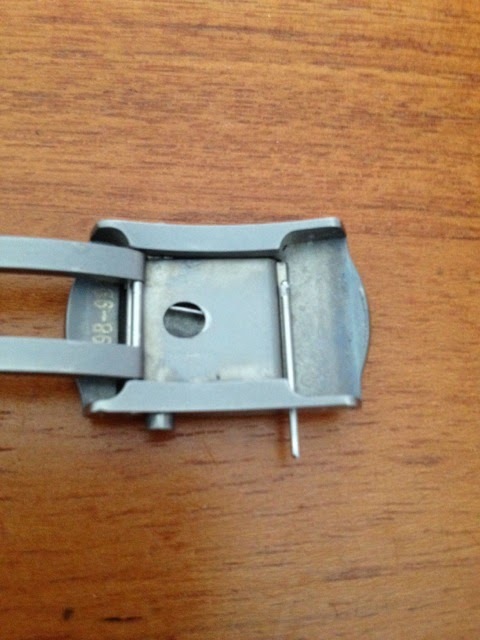 So I decided to take a closer look at the clasp and what was wrong. My Omega X-33. It is the Gen 1 version. 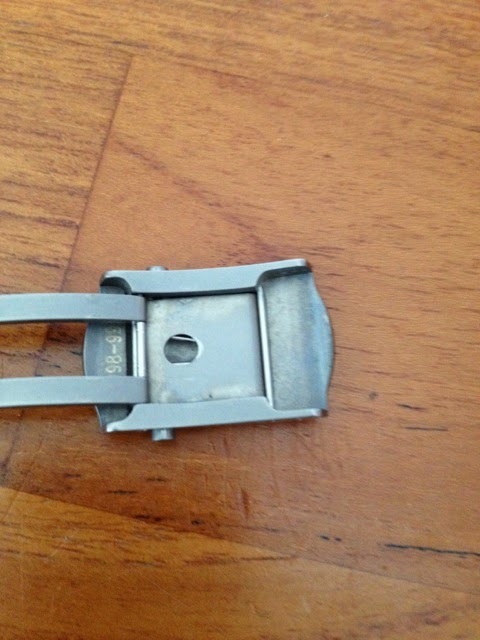 The clasp in question. It would not lock. 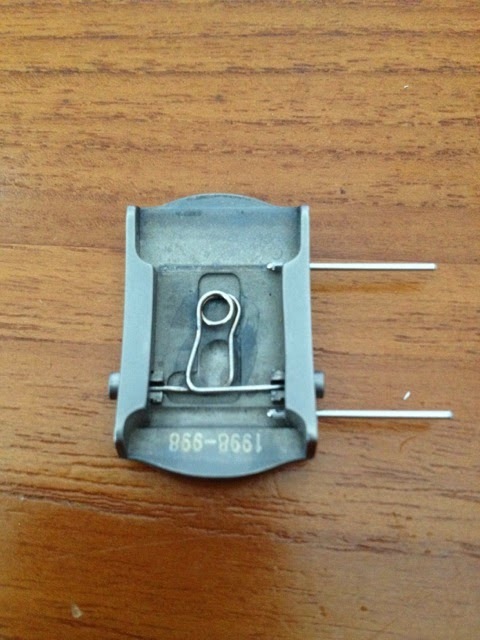 The locking is provided by a 'wire' within the hole that lock the pin on the clasp. 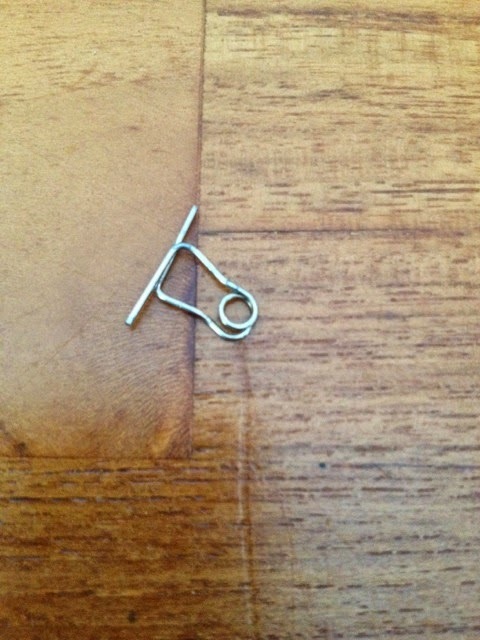 The hole where the pin goes into. You can see the wire in the hole. Normally you would be able to see two wires in the hole. 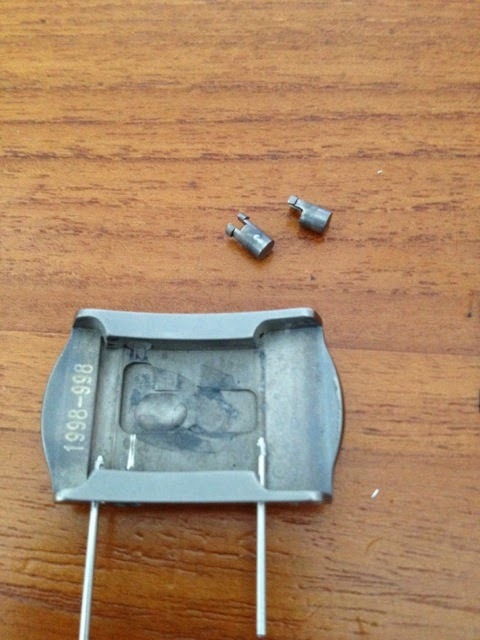 You can just about make out the two wires in the hole in the picture below. As you can see from the pictures below and above, the wire is moving from left to right and the release buttons are moving to the extremes, indicating something was wrong as there is no tension on the button. Time to strip the clasp and see what is wrong. 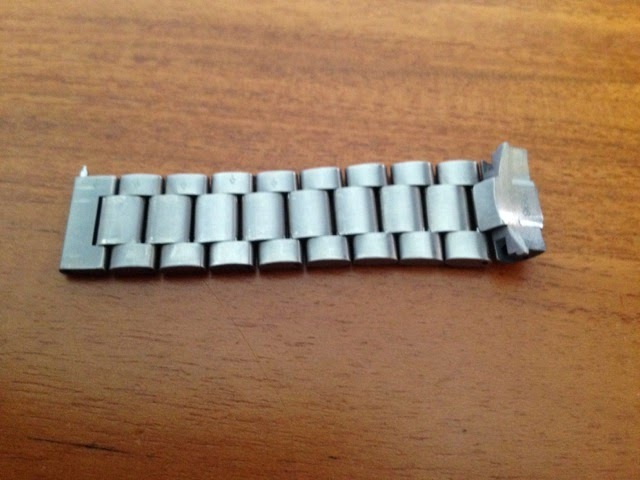 First remove the end of the bracelet. Push put the pin that holds down the plate with the locking hole. 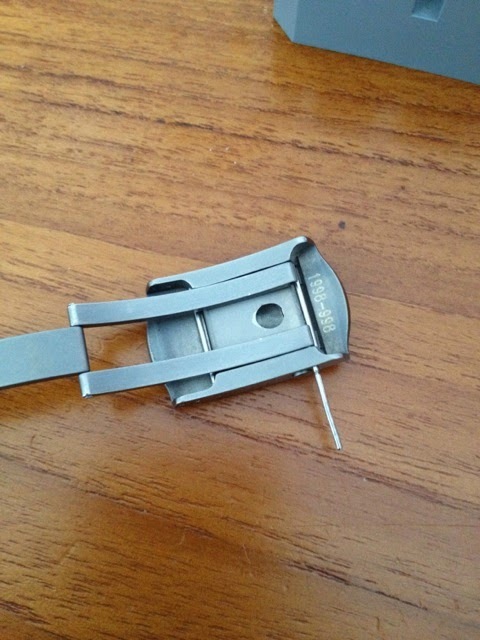 You don't have to remove the pins from the clasp. Just shift it down. You will need to remove the clasp links. 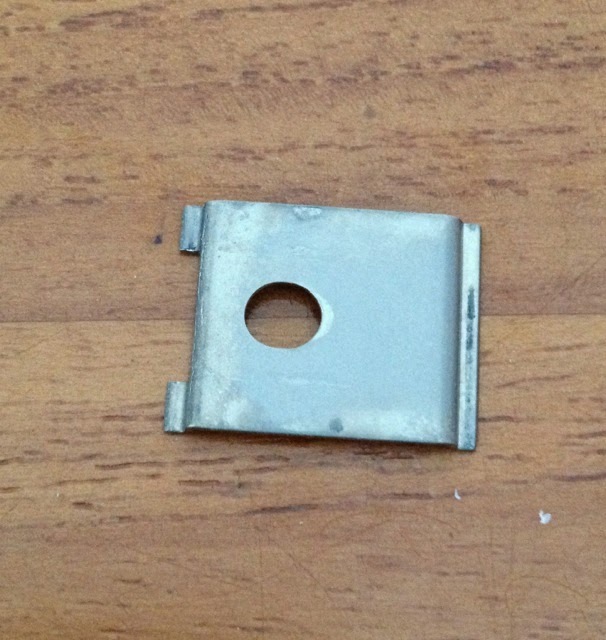 The plate with the locking hole removed. The clasp. You can see the locking wire. 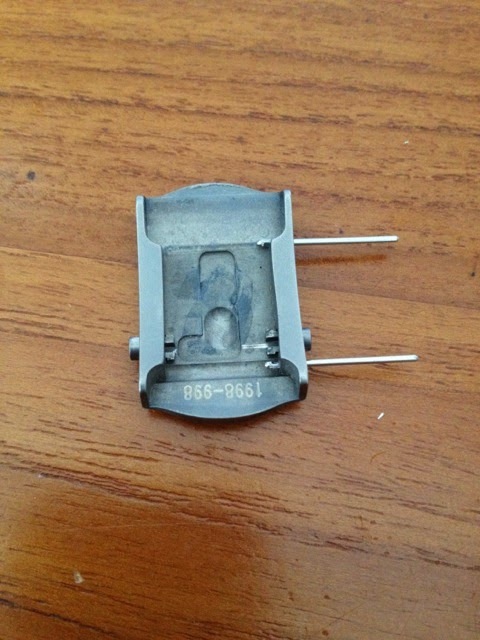 It is a simple spring steel wire. 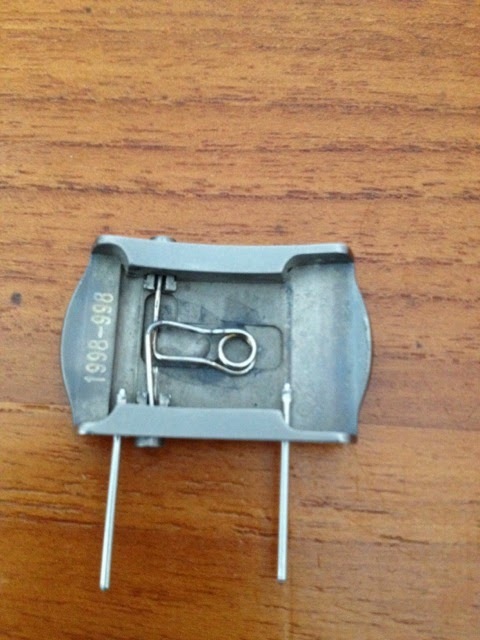 The two ends of the wire sits in the release buttons providing tension. 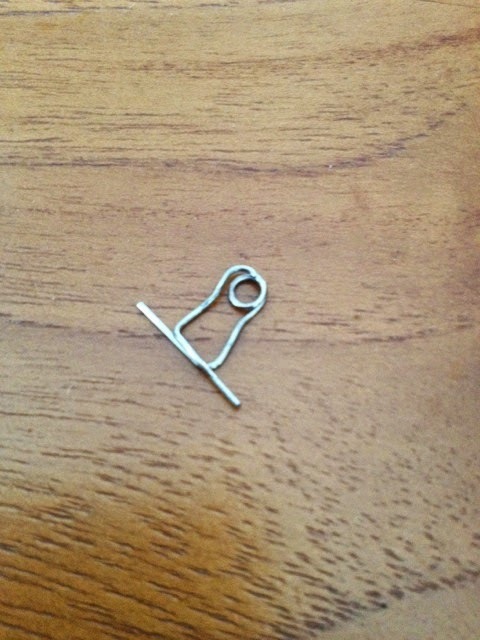 The middle part of the wire provides the locking. The release buttons removed. 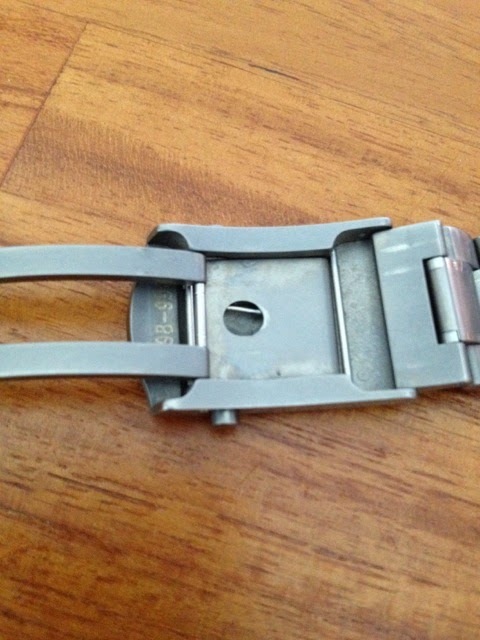 You can see the 'cut-out' on the clasp where the locking wire sits. The problem? The wire is broken at the bottom, where it is twisted into a circle to provide the 'spring' feel. 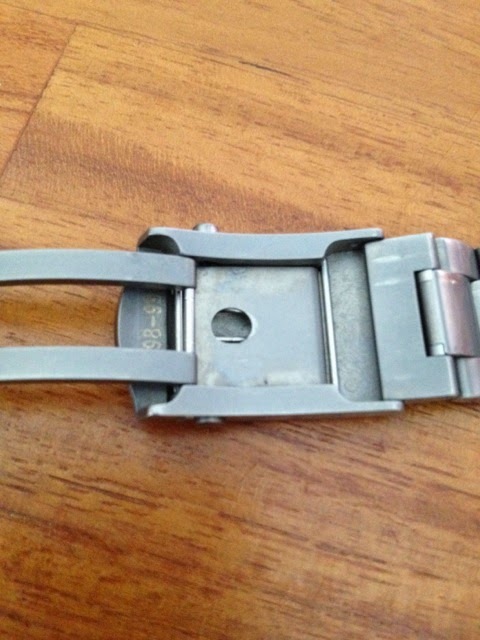 The clasp itself. 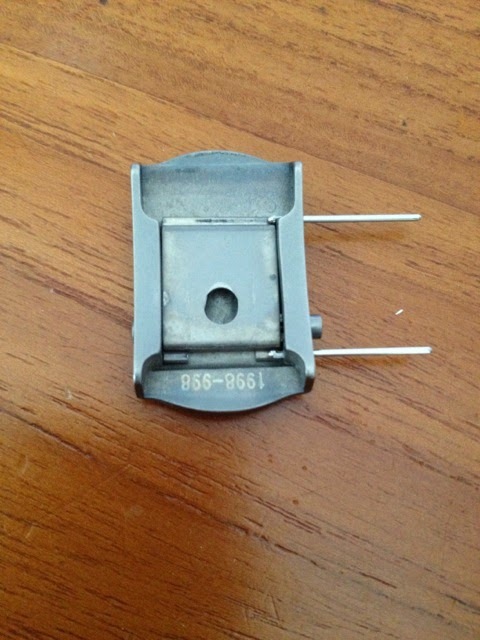 The part number is 1998-998. I have checked and the clasp is about USD 220. I am not sure if you can buy the wire itself. 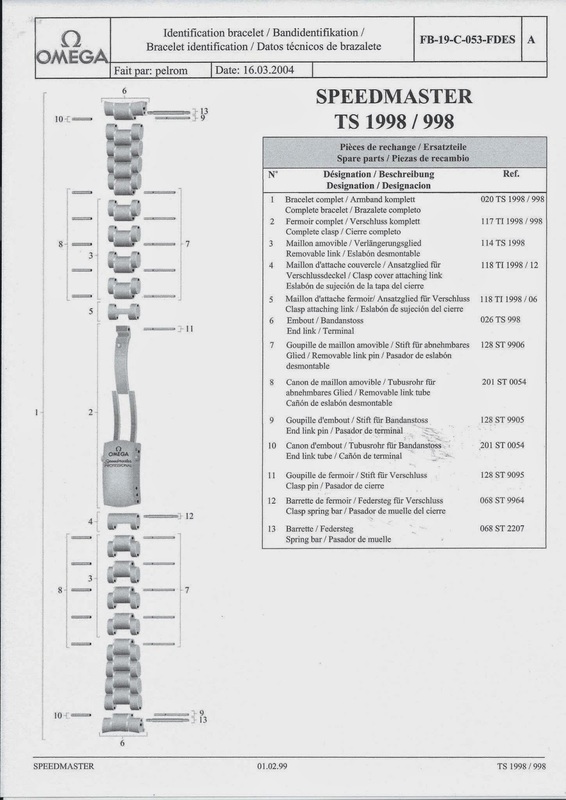 The parts list for the bracelet. 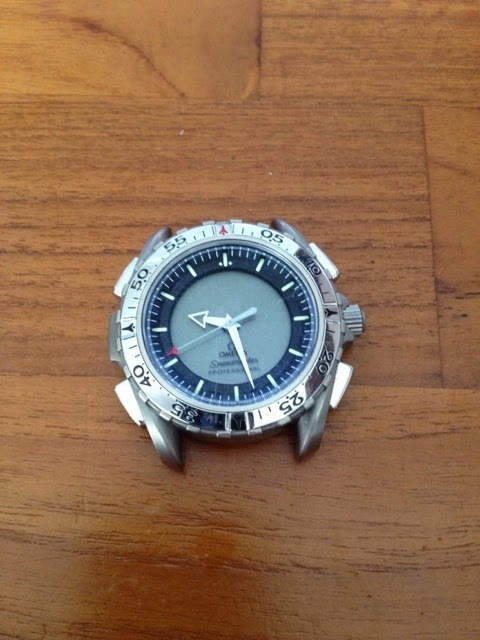 Photograph: Omega X-33 Owner Club and Fans Facebook. Assembling the clasp so that I can send it to Omega. The reverse process in the next couple of photographs. Have you checked at Ofrei for the clasp spring? Great site you have here, too! Thanks for the link. I was told that they did not have it in stock. Looks like they do. Cool. Thanks.